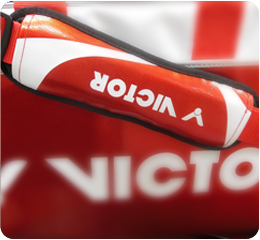 【Text／Diana】The BR690ACE 12-racket rectangular racket bag is the VICTOR SUPREME flagship bag supplied to national team level players for use in top competitions. 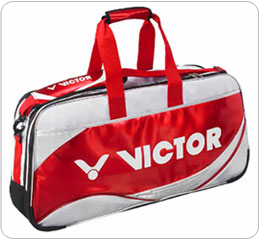 However, sharp-eye badminton fans will have noticed that, in the second half of 2013, VICTOR stars have been sporting a new ,even more eye-catching bag, at events. This is the upgraded version of the BR690ACE, the BR690LTD. In the past, function was the feature of a racket that most importance was attached to. The BR690ACE has an added fashion feel that allows players to exude unprecedented charm while they focus on their game. 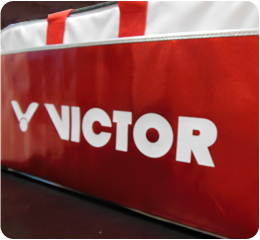 In 2013Q3, VICTOR has brought out the BR690LTD, using specially selected material that gives a high quality feel, making the bag more eye-catching and also giving it a value-feel that is comparable to luxury brand bags. 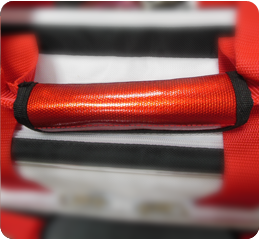 The BR690LTD retains the rectangular shape and functional design of the BR690ACE and boldly uses a large area of red PVC to color the bag, on the one hand increasing the durability and protection of the bag and, on the other, using the light reflectiveness that is a quality of PVC to increase bag value feel. The above table shows that the BR690LTD is, like the BR690ACE, a premier bag that is supplied to national team level professionals; it is also limited edition, making it more precious. 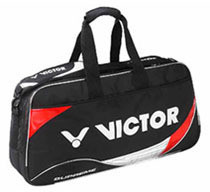 To let the BR690LTD meet the requirement of a premier bag, the designers chose to use PVC which is relatively heavy and has a relatively hard feel as the material; as well as giving it a high quality look, this move also increased the bag’s ability to protect the racket it will carry. Durability: PVC material has the properties of good dirt resistance and cleanability, so when the player carries their attractive racket bag onto the court they don’t need to worry it will easily become dirty. All that’s need is to lightly rub the bag with a damp cloth to keep it clean and at the same time increase it lifespan. 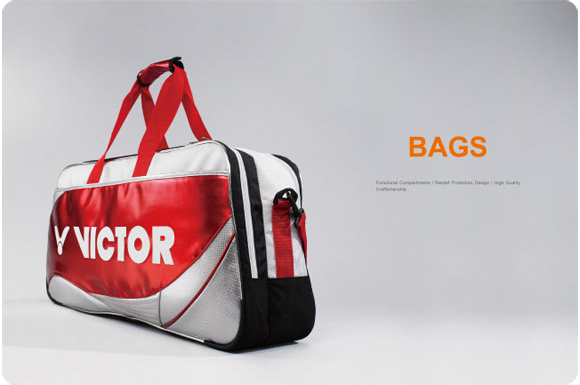 Value feel: PVC material has a luster which gives the bag an attractive sheen. Under the lights of the tournament venue or badminton hall it will undoubtedly catch the eye. 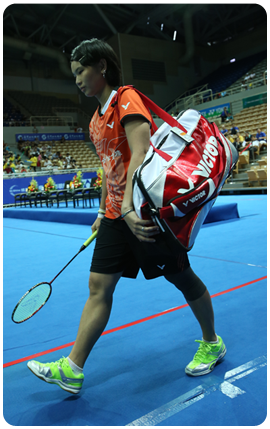 The BR690LTD is a racket bag that stands out in terms of appearance and functionality, and it has already been chosen as the designated bag by the ROK and Chinese Taipei teams. The BR690LTD’s thoughtful design includes: removable strap, multi function compartments in the front bag, moveable compartments, and studs on the bottom.